The Cambridge ‘Weblabs’ e-learning project started in 2003 as part of a trans-Atlantic collaboration known as ‘The Cambridge-MIT Institute’. The objective of the project - to develop an online learning resource based around remote operation of real experimental apparatus - was fully realised in 2006. So far, two different Weblabs experiments have been developed for use in Chemical Engineering teaching at Cambridge and elsewhere; one on chemical reaction engineering and another on process control. Each experiment can be operated on the same piece of apparatus from almost any location in the world via a remote internet connection. 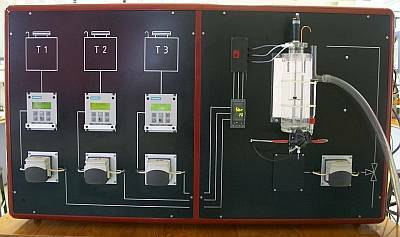 The apparatus is operated via a state-of-the-art SIMATIC PCS7 control interface which was supplied by Siemens Automation. 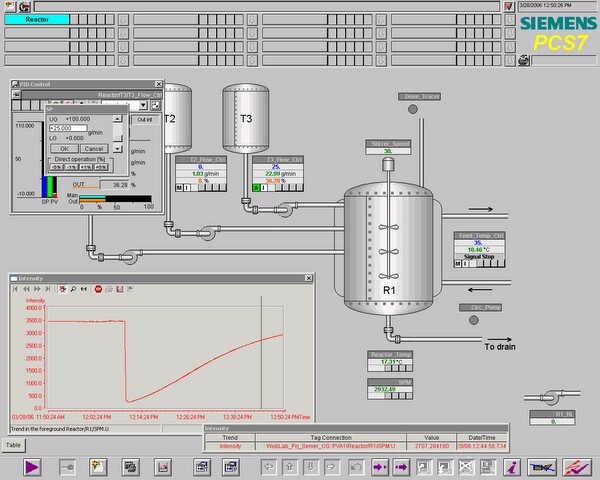 The industrial interface enables the students to view the process from the perspective of the practising Chemical Engineer, many of whom rarely need to enter the physical plant environment. Compared with traditional approaches to teaching of chemical engineering in the laboratory, this is a significant innovation. 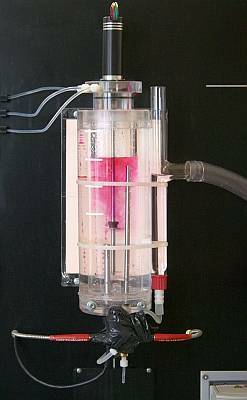 Both experiments make use of a slow reaction between phenolphthalein and aqueous sodium hydroxide, which causes the colour of the aqueous complex to change from pink to colourless. The reaction is carried out in a continuous reactor and colour changes are tracked by a spectrophotometer, enabling continuous measurement of the solution concentration. In the reaction engineering experiment students are able to test ideal and non-ideal reactor models against the experimental data they have obtained, thus identifying the nature of the mixing within the reactor. In the control experiment certain reactor parameters are changed and it is possible to study the response of the concentration of Phenolphthalein to P, PI and PID control. Before undertaking each experiment, the students are given a thorough grounding in the underlying theory through a series of written exercises, which can be adapted to suit the pedagogical approach of the university which is using the Weblabs. For more information, plaese visit the Cambridge Weblabs website.